Las Vegas Rental Market Statistics for 2017	No ratings yet. 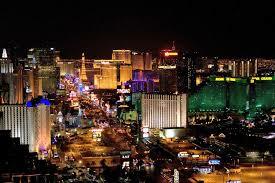 There are approximately 2.2 million people living in Las Vegas according to the U.S. Census Bureau. And of those 2.2 million people, forty-eight percent of them are renting. According to statistics rental vacancies in Southern Nevada decreased in the first quarter of 2016, extending a three year long streak. Vacancy stood at 5.1 percent in the first quarter, 0.6 percentage points lower than one year ago, and 0.3 percentage points lower than in the fourth quarter of 2015. Even with a six percent unemployment rate, employment growth in the technology, construction and hospitality sectors is estimated to increase Las Vegas’s rental market in 2017. Above-average employment and population growth will help as well: the Las Vegas market will rank No. 6 for job growth, with gains of 3.2 percent, and its population of adults ages 20 to 34 — a prime rental demographic — will grow faster than any other city’s, at nearly 3 percent. Housing prices are up. Rent rates are steadily increasing in our market with the median rent in Las Vegas being $1000 a month. Demand for rentals in many zip codes has increased tremendously. The vacant “days on market” is lowered and it’s no surprise. The increased demand for rentals equals a decreased supply of homes which contributes to an increased rental rate. If you are looking to rent a home in Las Vegas or if you are looking for a property manager in Las Vegas to manage your rental property, please contact Simply Property Mangement-Paielli Realty, Inc. today. We provide a wide array of specialized property management services in the Las Vegas area to fit your needs as a landlord, renter, or home owner. Simply Property Management – Paielli Realty, Inc.